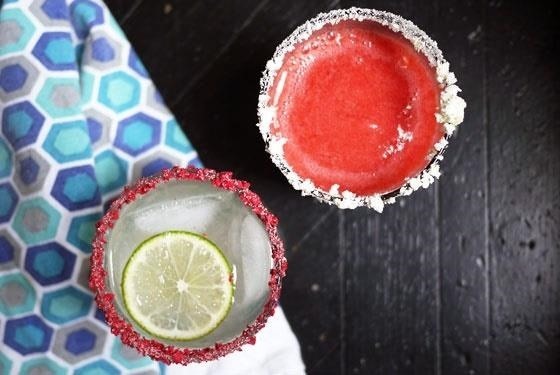 The best part is that you can save money and get a much better result by making your own, given that store-bought cocktail rims cost a pretty penny for what usually amounts to a few tablespoons of flavored sugar. Here are 10 of my favorite flavored rims that you can easily make at home. 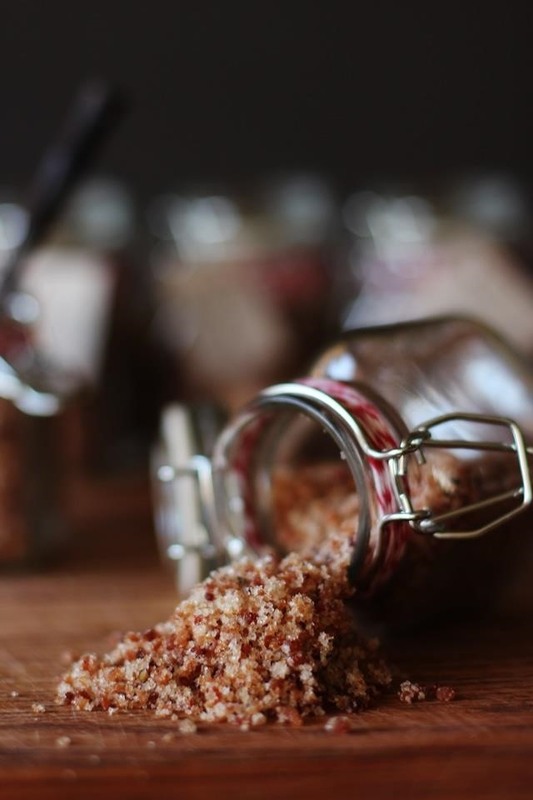 Smoked citrus sugar is subtle and exotic all at once, and goes excellently with any fruity drink. 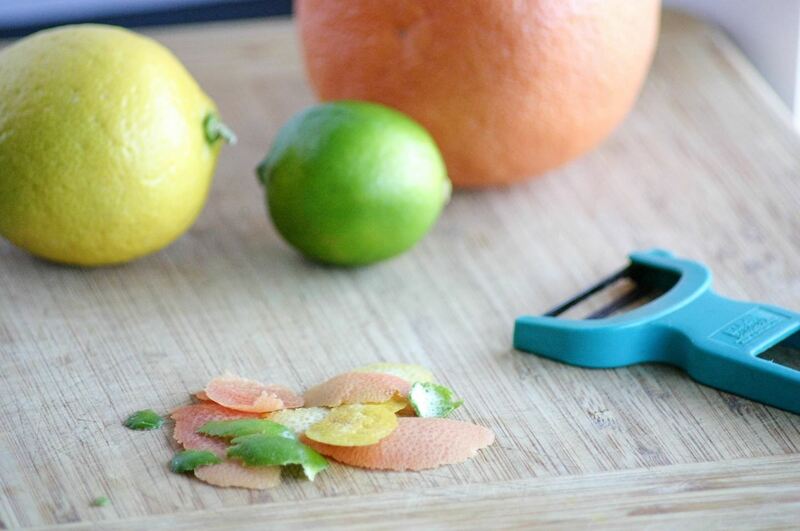 Start by peeling a few strips off of a variety of citrus fruits. Try to get as little pith as is possible, as the pith is bitter and lacks any fruity flavor. 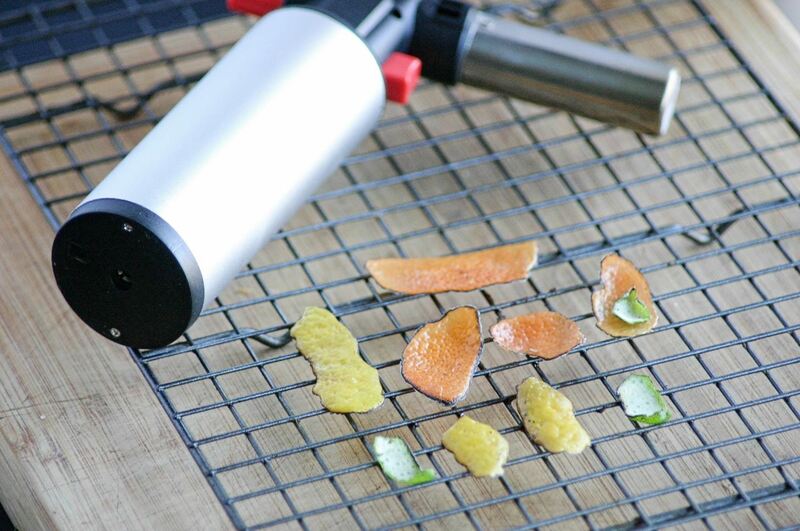 Lay your pieces of peel on a tray or a cooling rack, then use a brûlée torch to cook the peels until they curl slightly and start to blacken around the edges. 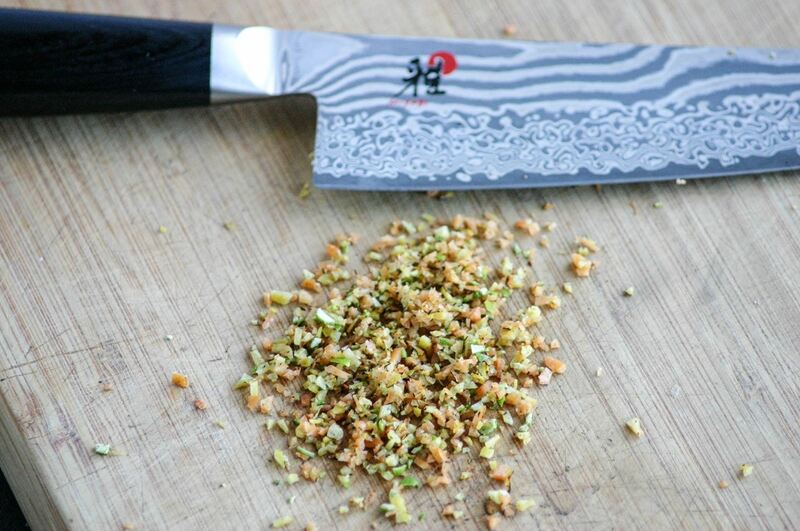 This both adds a smoky flavor to the citrus peels, and helps them release their fragrant oils. After the peels are torched, mince them up. Massage the minced citrus peels with sugar (the ratio should be 2:1, sugar to peel). By massaging the citrus into the sugar, you help the sugar absorb the oil of the fruit. 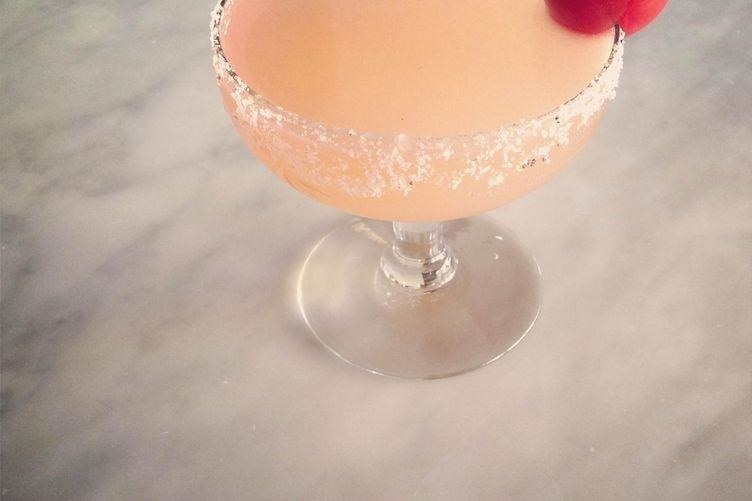 Use the fresh citrus from one of the fruits you peeled to wet the rim of your cocktail glass, then dip it in the sugar. 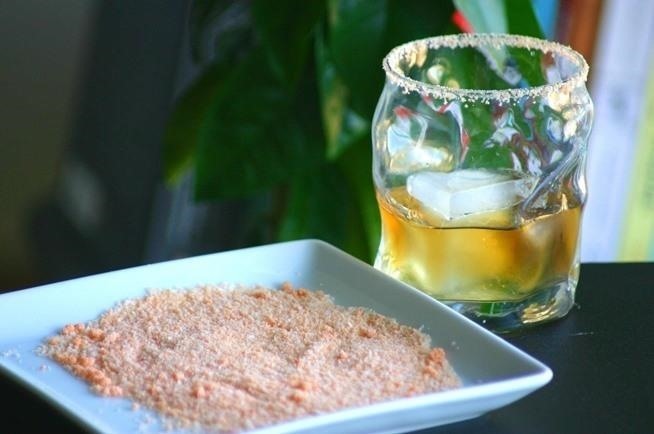 Chili salt is the perfect rim for anyone who likes a little kick in their cocktails and requires little in the way of preparation. Simply mix three parts kosher salt with one part chili powder. If you don't like salty rims, you can use sugar instead. Lastly, wet the rim with fresh lime before dipping it. I prefer to use it to balance the smokiness of a Mezcal-based drink or to compliment a jalapeño margarita... but you really can't go wrong with anything, especially if you love spice! 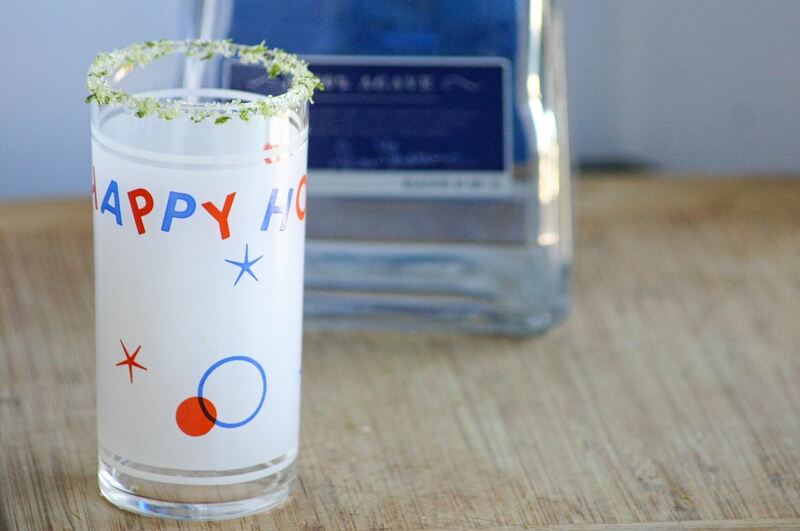 Sweet and salty lime zest is my go-to for an elevated margarita. 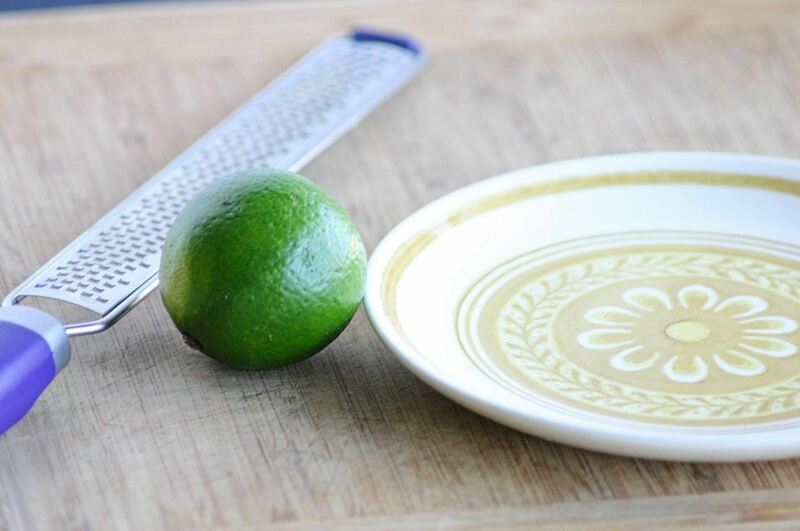 To make it, first zest a lime. 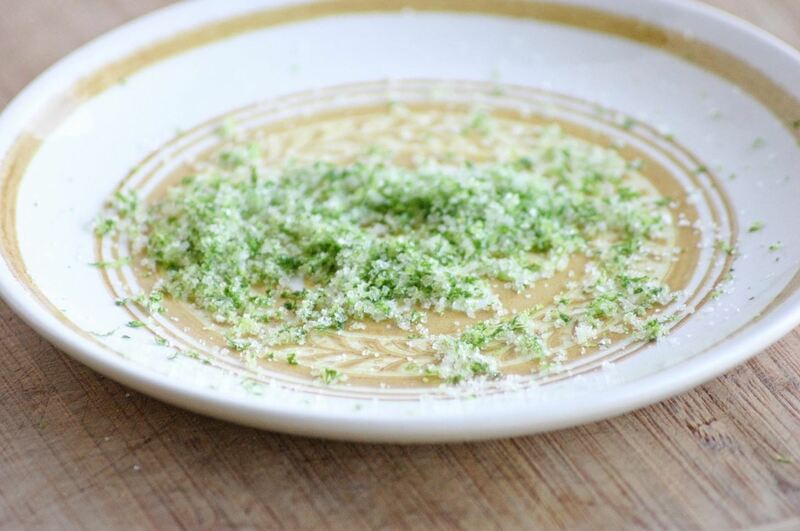 Mix together equal parts of lime zest, sugar, and kosher salt. Wet the cocktail rim with fresh lime to emphasize the lime flavor, then dip away. Okay, this one isn't really for a cocktail (though it would work for a coffee liqueur drink); I use this for red wine. It's fun, romantic, and really delicious. First, temper some chocolate. 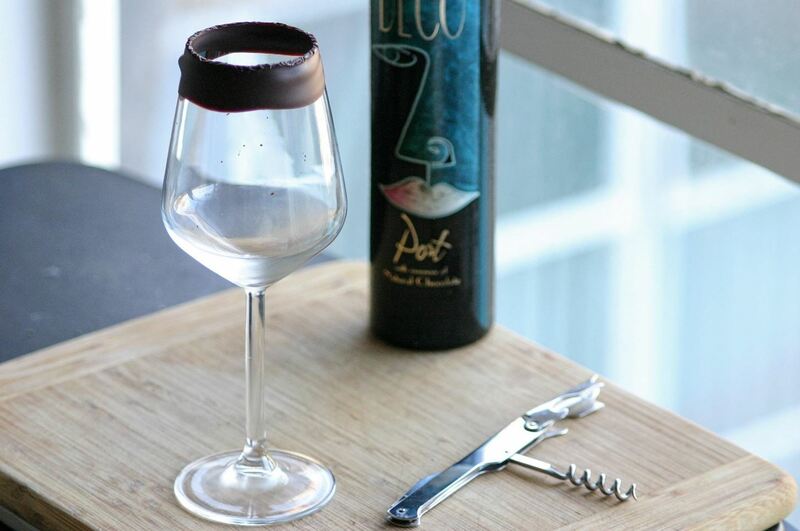 Then, dip a wine glass into the chocolate so that the top half-inch of the rim is coated. 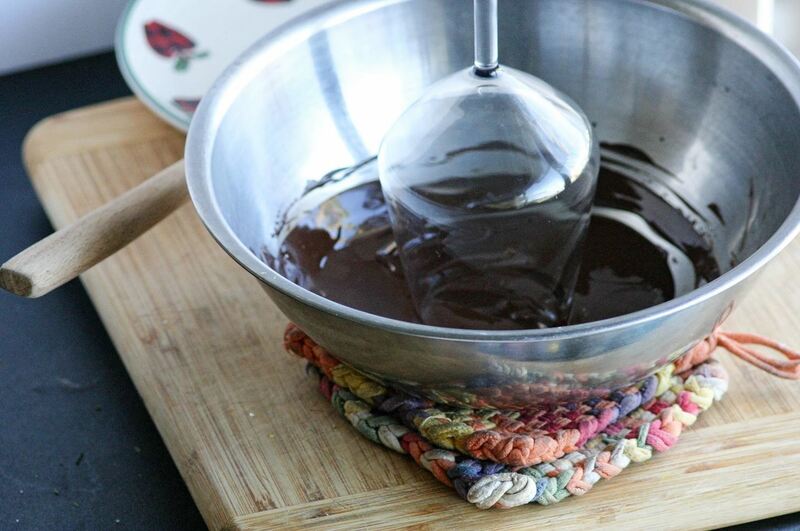 Put your wine glass rim-side down on parchment paper, and let it sit in the fridge for a few minutes, or until the chocolate is set. As you drink your wine, the chocolate will begin to melt in your mouth. Yes, it gets a little messy, but it's well worth it. Sriracha salt is a sweet and spicy rim that goes perfectly with bloody marys and bourbon-based drinks. It's also surprisingly easy to make. Simply mix a half cup of kosher salt with one or two tablespoons of sriracha (depending on how spicy you want it), then spread it on a baking sheet, and bake for 90 minutes at 200°F. Let it sit until it dries, then break it up to make sure there are no clumps. 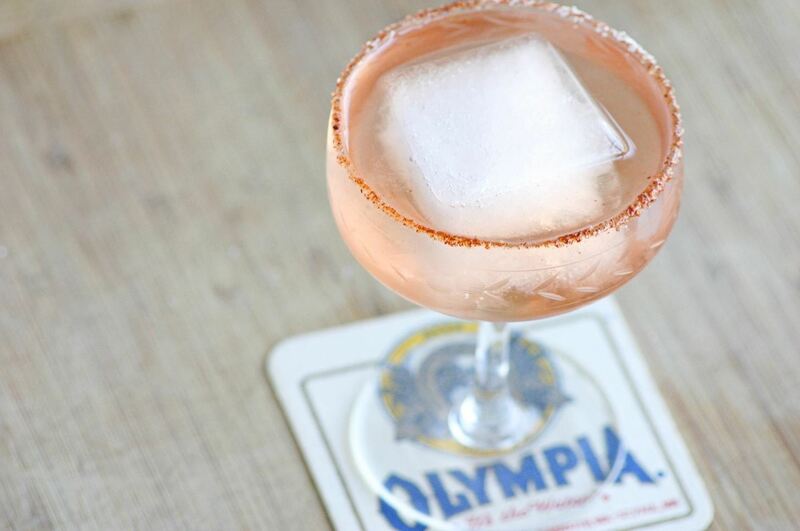 When it's time to salt the rim, wet your finger with the spirit you're making a drink out of and get the rim of the glass damp, then dip it into the salt. 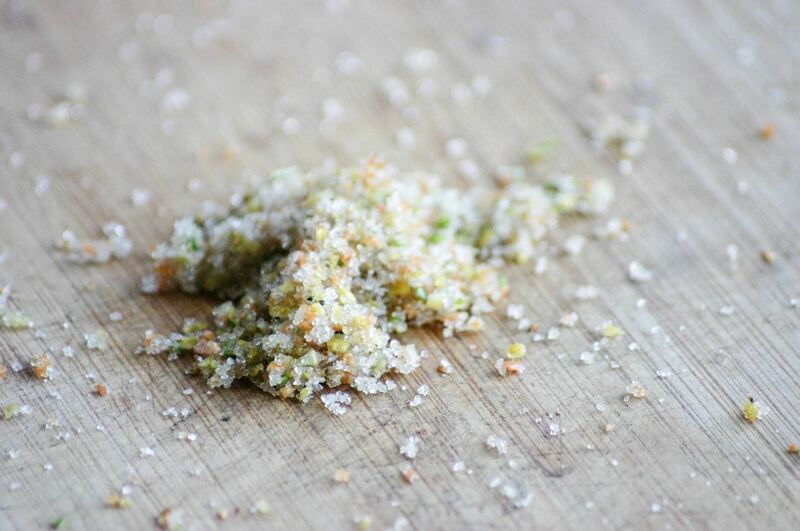 If you like the idea of a savory rim, but don't want it to be spicy, you can make bacon salt. To make it, cook bacon until very dark and extremely crisp, then blitz in a food processor until it is very fine. Next, mix the bacon with kosher salt (roughly one cup of salt to one pound of bacon). If you'd like a little kick, you can add a pinch of black pepper or cayenne powder. Like with the sriracha salt, wet the cocktail rim with some of the spirit that you're using for your drink prior to dipping the glass in the salt. If you like fruit punch, then you'll love raspberry sugar, which is the perfect complement to a summer punch, or even a mojito. Meyer lemons make most foods better, and cocktails are no exception. 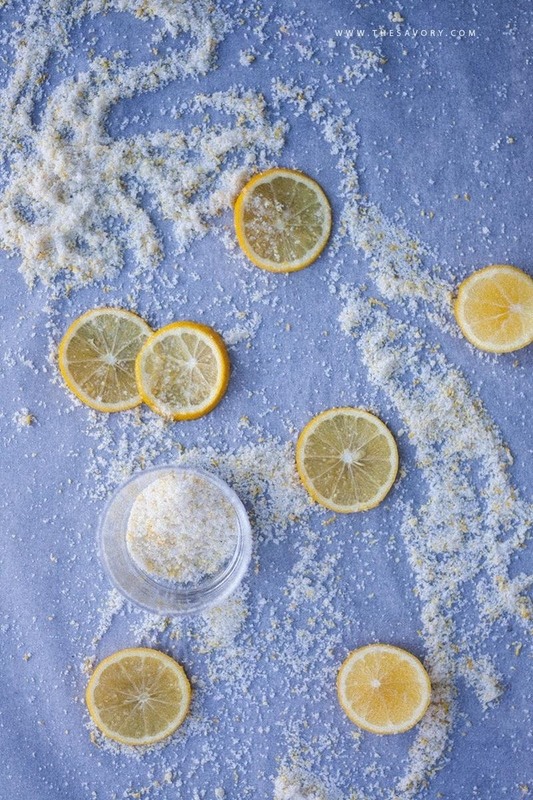 Meyer lemon salt is the perfect addition to a salty dog, or basically any aromatic or gin-based drink. To make Meyer lemon salt, bake the zest of five Meyer lemons in a 200°F oven for 15-20 minutes until the zest is dry but not yet browning. Then put it in a food processor with a cup of salt and blitz until the salt and zest are fully incorporated. Lastly, rub a cocktail rim with fresh Meyer lemon, then dip it in the salt. If you want a unique and festive cocktail rim, look no further. 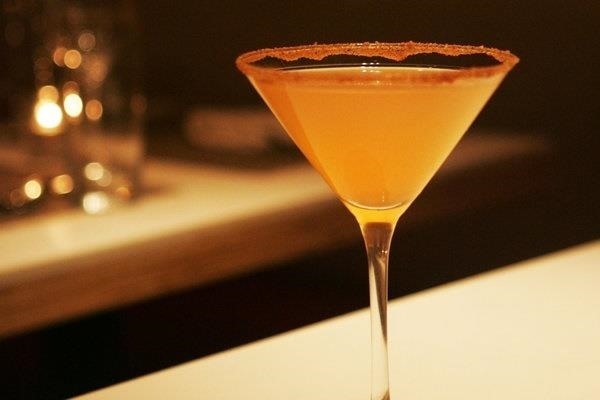 A gingersnap rim is perfect for any apple, pear, or plum-based cocktails, as well as anything in autumn or winter. Just dip a cocktail rim in honey, and then into some crumbled up gingersnap cookies—your hot toddy-obsessed friends will thank you. Peppery lemon salt may sound more like something you'd put on fish than a cocktail, but it perfectly balances any light, aromatic or citrusy cocktails, from vodka tonics to gimlets. To make it, simply mix four pinches of salt with a half teaspoon of black pepper. 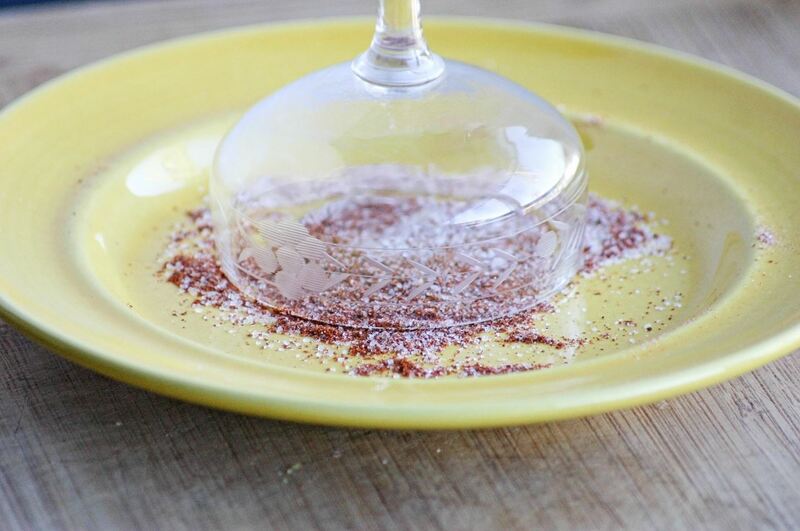 Generously coat the rim of your glass with a fresh lemon, then dip it in the salt and pepper mixture. Simple, but elegant and delicious. 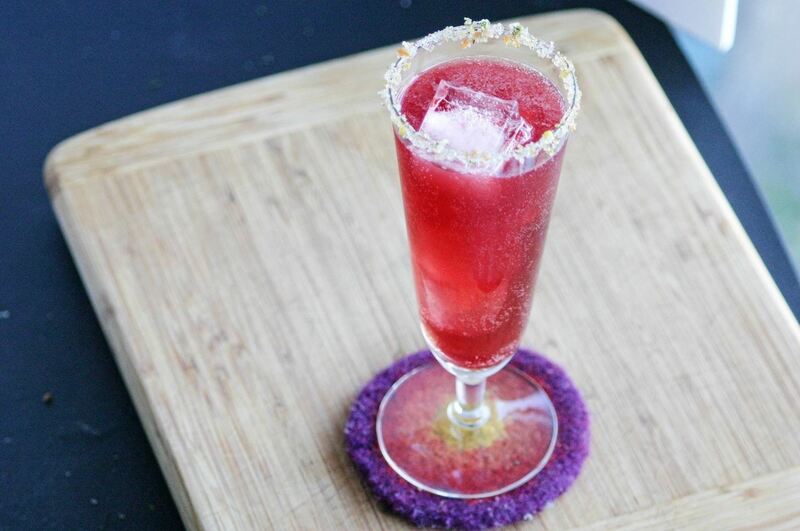 Cocktails are delicious on their own, but a fun cocktail rim is a great way to amp up the flavor and creativity of your favorite drinks. Try any of these tasty ideas for your next dinner party—or even for enjoying a cool cocktail at home after a long day of work.